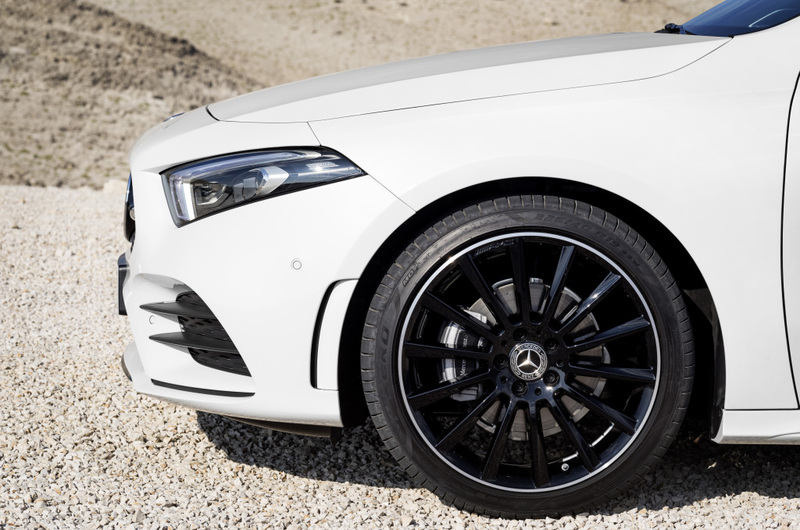 The product refresh cycle continues in Stuttgart and it’s now the turn of that smallest letter in the Mercedes-Benz line up, the A-Class. 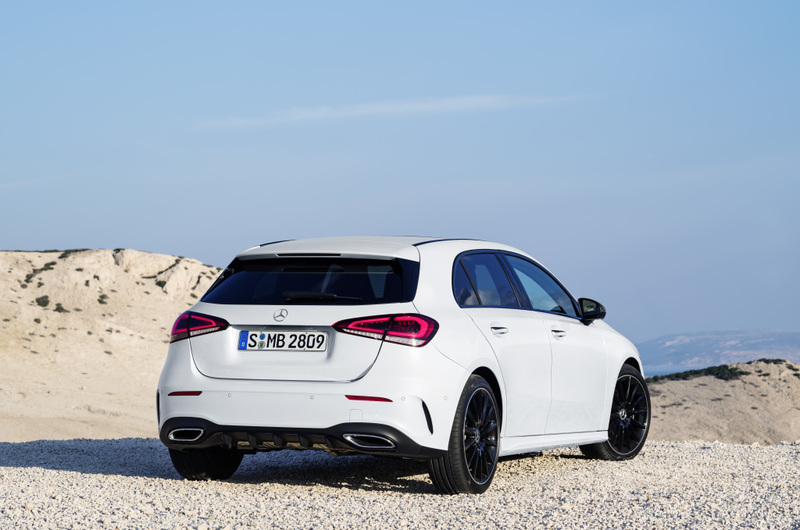 That said, it’s bigger than ever in its latest avatar – 30mm longer with the front track 14mm wider, more room on the inside and an easily accessible boot. The new aesthetics make it look even cooler and that’s before AMG have had a go on it. 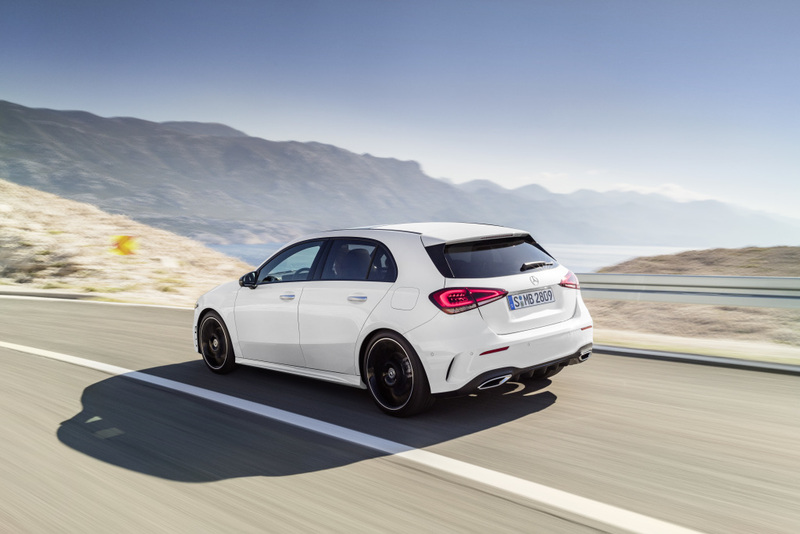 Mercedes have given the new A-Class larger wheel arches for wheels from 16 to 19 inches to emphasise the sporty nature of this car, and the heavily sloping bonnet and a two-section rear bumper too. The interiors get a by-now-predictable update too with screens replacing dials as much as possible. It’s been given new LED multibeam headlights which also add to the more hunkered down look. 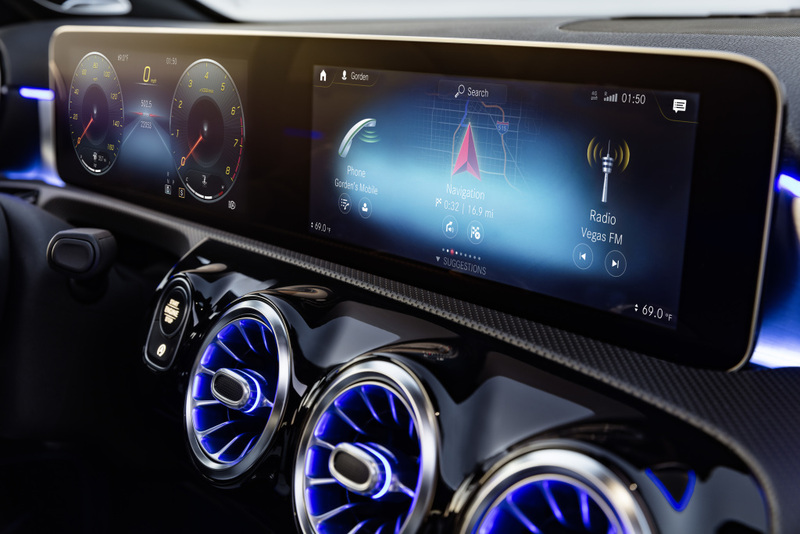 While two 7inch displays come as standard you can have both upgraded to 10.25inches, with the main infotainment section is a touchscreen interface. 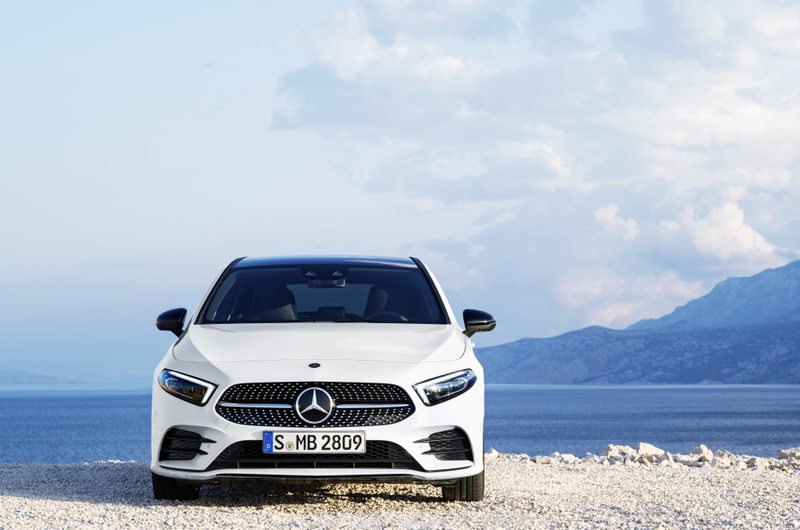 The new A-Class also features Mercedes-Benz’s new multimedia system called MBUX which uses AI to learn and adapt to the user. 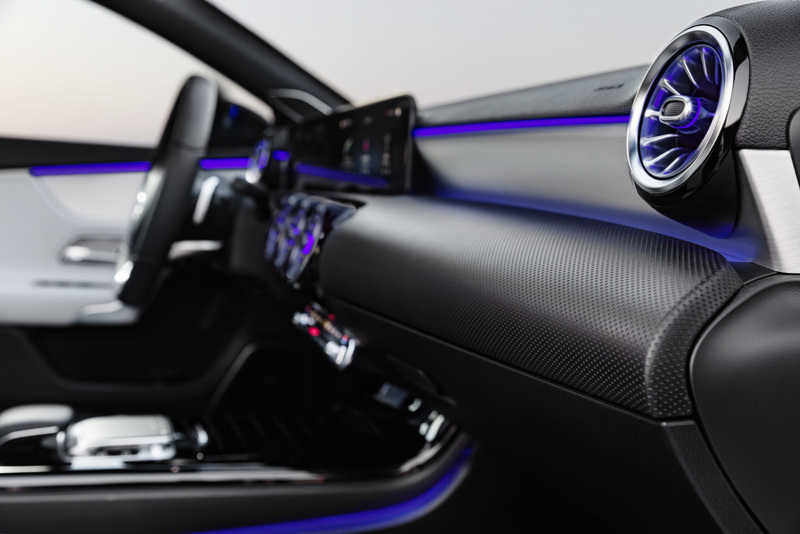 The German carmaker says it ‘creates an emotional connection between the vehicle, driver and passengers.’ So instead of using the touchscreen or the touch pads and keeping your hands on the wheel, you can activate the voice control by saying “Hey Mercedes”. 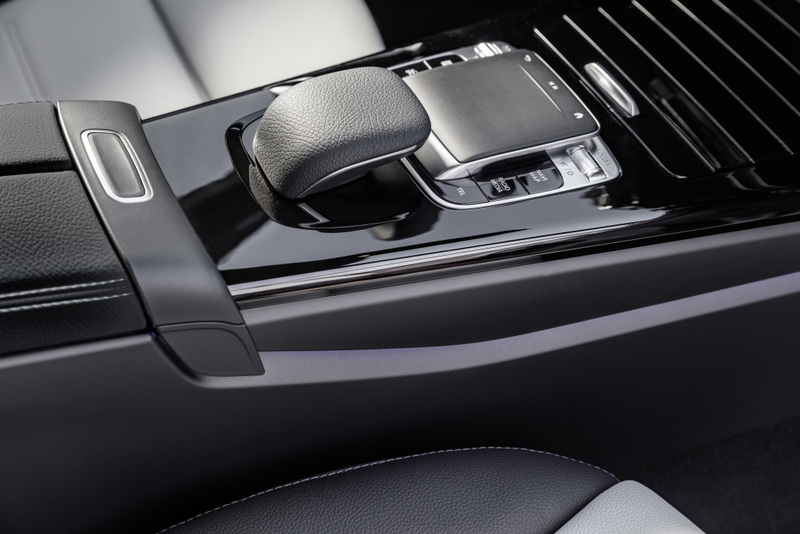 It gets more comfort too with the option of speccing it with seat heating as well as seat climate control in the front. 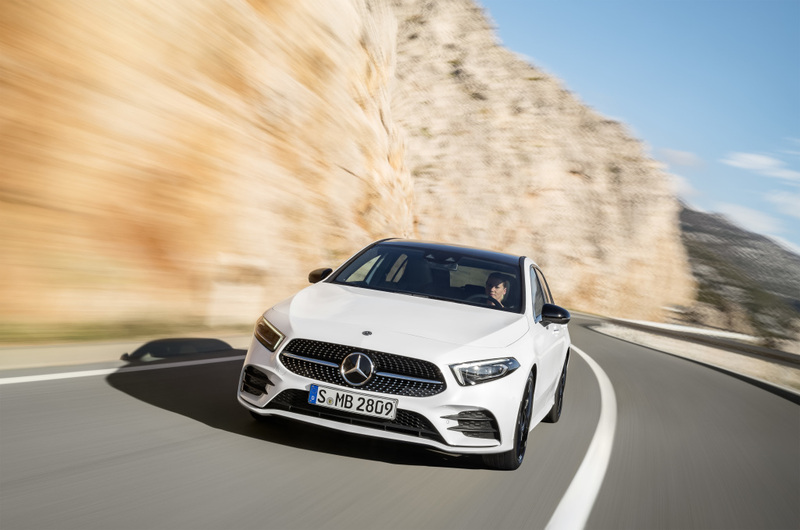 The new A-Class also gets the tech update of driver aids from its biggest brother, the S-Class, for even more occupant safety. It has a range of engine options to come over the course of the year, but during the time of its unveiling in Amsterdam, there were three. The first from the four-cylinder trio of newly introduced engines is the 1.4-litre unit (with cylinder shut-off) that makes 161bhp and 250Nm of torque and is paired with a 7G-DCT dual clutch transmission or a choice of a six-speed manual and is badged as the A200. The second is the 2.0-litre unit in the A250 that has an output of 221bhp and 350Nm of torque paired to a 7-speed dual clutch transmission as well. 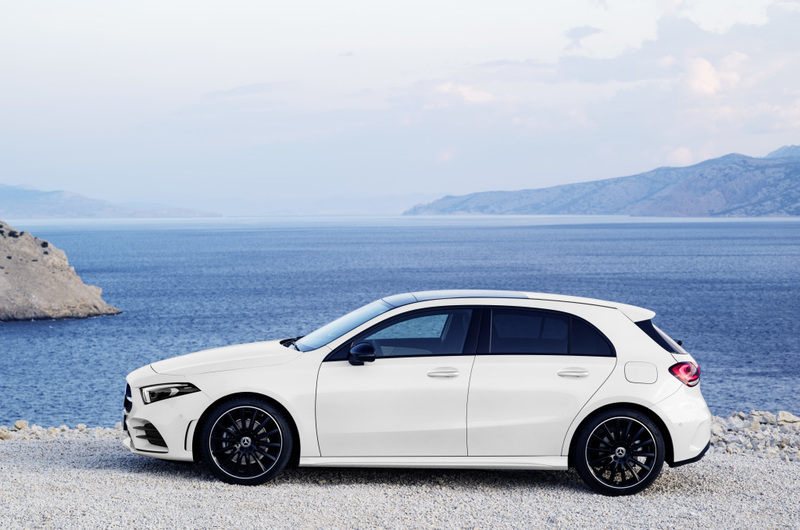 The third and last one, for now, is a 1.5-litre diesel in the A180d that is paired to a 7G-DCT gearbox as well and produces 114bhp and 240Nm of torque. 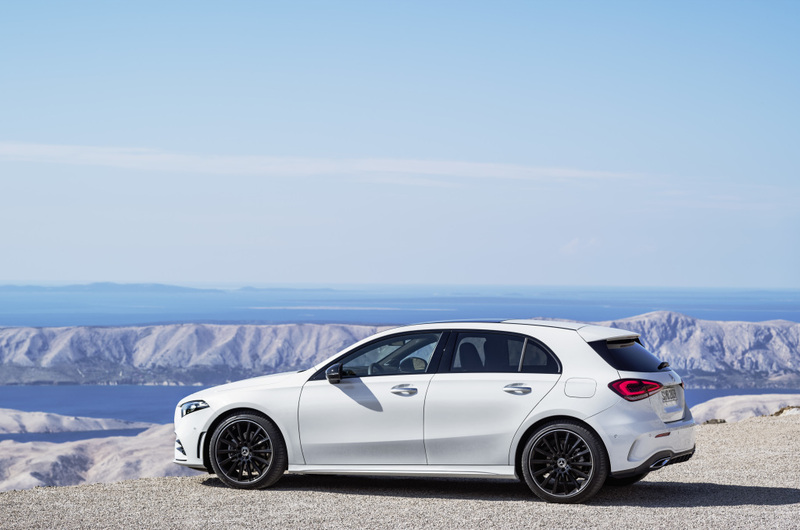 Mercedes do offer a 4MATIC version as an optional extra.